Mary Miller, of Mobile, and Wes Clendinen, of Tallahassee, Fla., were selected to represent the CVM at the Veterinary Leadership Experience June 5-10, in Post Falls, Idaho. Two second-year students from Auburn University’s College of Veterinary Medicine are attending the Veterinary Leadership Institute this summer in Post Falls, Idaho. Mary Miller, of Mobile, and Wes Clendinen, of Tallahassee, Fla., were selected to represent the CVM at the Veterinary Leadership Experience June 5-10. “I am excited to get to be a part of this program,” said Miller. “It is a real honor to be selected, and I am very much looking forward to the experience,” Clendinen adds. The VLE was founded in 2004 by Dr. Kathy Ruby and Dr. Rick DeBowes, both counseling psychologists who had spent much of their professional lives working with veterinary students, faculty, healthcare team members and practitioners helping them to improve their leadership skills and to better balance their personal and professional lives. From their different vantage points, Drs. Ruby and DeBowes noticed that from veterinary school to retirement, veterinarians and healthcare team members were often challenged by their personal choices, paradigms, attitudes and behaviors. Now more than 10 years old, the VLE has served students, faculty, practitioners and other healthcare team members from throughout the United States, Asia, Australia, New Zealand, Africa and Western Europe. Both Miller and Clendinen are recognized leaders among the CVM student body and its faculty. Moreover, both have been drawn to serving as leaders in various capacities since their work as undergraduate students. Miller takes on organizational efforts necessary to accomplish group tasks and projects. Clendinen, who has been active in Student Government Association roles as well as serving as an elected student officer, is more comfortable in administrative/executive roles. “I love interacting directly and talking with people and groups,” Clendinen said. The two have different leadership strengths, and because of that diversity, both have been successful as student leaders and have become an effective team at the College Veterinary Medicine. As veterinary professionals, both share the goal of being private practice veterinarians, specializing in small animal veterinary medicine. “I really am a dog person,” Miller said. Miller and Clendinen are among the CVM class of 2019. Selection for the VLE involves an application and interview process. Dr. Givens urges students in the 2020 class to consider applying in the spring 2018 semester to take part in the VLE during summer 2018. 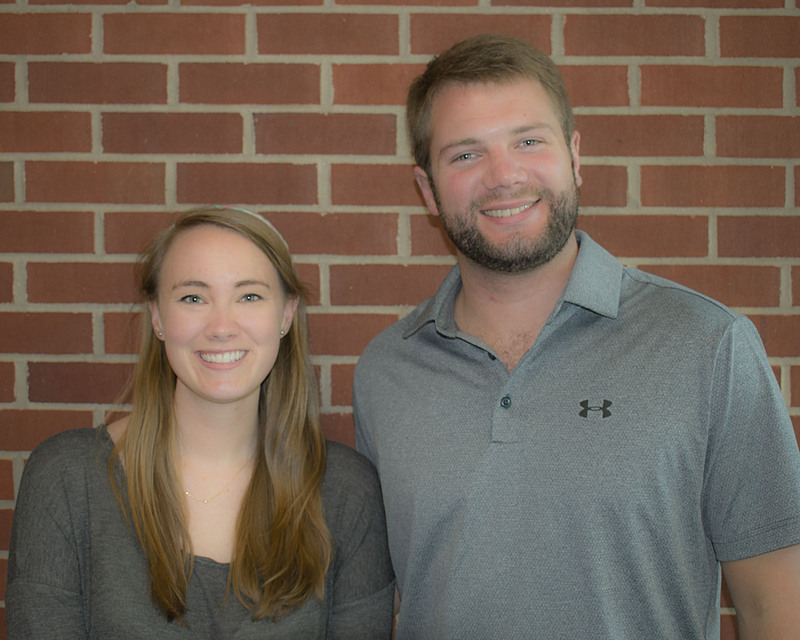 Upon their return from the VLE, Miller and Clendinen will lead a portion of the AU CVM Class of 2021 Orientation next fall.